Having your knee replaced is an important decision. Knowing how your surgeon will perform your surgery and which implant they use is just as important. JointVue provides surgeons with a radiation-free digital imaging system that allows them to create a 3D model of your knee. This 3D model can be used to create a custom surgical plan in advance of your surgery. With breakthrough software, your surgeon can select the knee implant that is right for you based on your unique anatomy. You can’t move like you used to. It’s painful to walk the dog, climb a flight of stairs, or simply get out of a chair. You’ve tried medicines, injections, and physical therapy. Nothing seems to work. If that’s the case, it could be time to consider Knee replacements surgery. 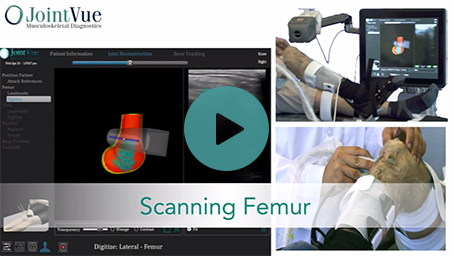 Patented software allows your surgeon to create a 3D model of your knee in minutes using a patented, radiation-free Ultrasound image. Knowing the shape and size of your knee is important to help surgeons select the implant this is right for you. Every patient is unique and you deserve a surgical plan that is customized for you. 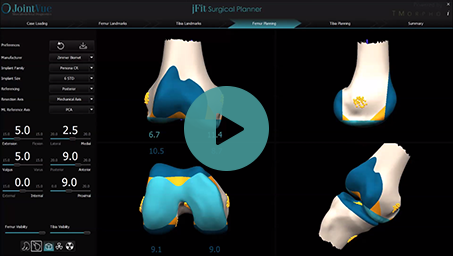 The 3D model of your knee allows surgeons to evaluate alignment, sizing and plan the optimal implant placement based on your anatomy and lifestyle. All of this can be done while you wait. JointVue scans can be completed in minutes right in your surgeons office. No more trips to x-ray, MRI, or CT centers. More importantly, no more radiation. 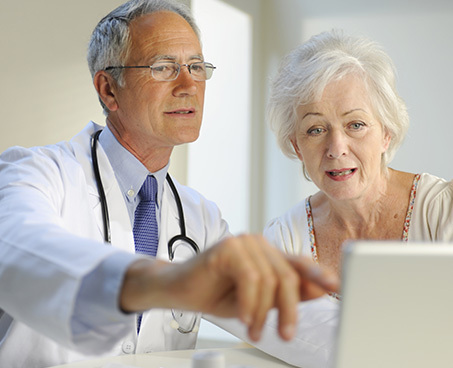 If you are considering joint replacement, ask your surgeon if they use radiation free JointVue to plan your surgery.